Emmy-nominated Gloria Reuben, ER and The Agency, returns to television as Brooke Haslett, an FBI agent who is reluctantly teamed with a young woman whose uncanny psychic abilities assist them in locating missing persons in this new action drama, Missing premiering Wednesday, November 7th at 11:15 pm on 3. 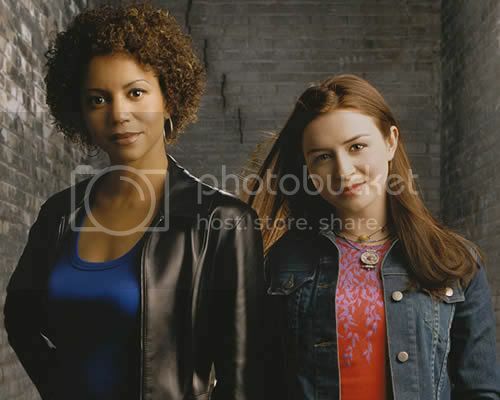 Caterina Scorsone stars opposite Reuben as Brooke’s novice agent, 21-year-old Jess Mastriani, who is brought into the agency when her psychic abilities give her a proven track record in solving many open cases. Based on the 1-800-WHERE-R-YOU novels by best-selling author Meg Cabot, Missing centers on Haslett, as she does whatever it takes to find the thousands of people who disappear every year, even if her methods prove unpopular with her superiors. Don’t miss this thrilling season premiere, Missing screens Wednesday, November 7th at 11:15 pm on 3.